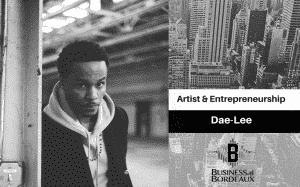 Dae-Lee has been an entrepreneur for many years now with a history of music and web design. He is a grammy award winning producer and has even served on a marketing team for launching a social media app. Dae-Lee is also getting ready to ramp up his artist mentorship program. In this episode Dae-Lee shares a lot of great advice for anyone who is wanting to be an entrepreneur while sharing his story. You can visit his website at Dae-lee.com.